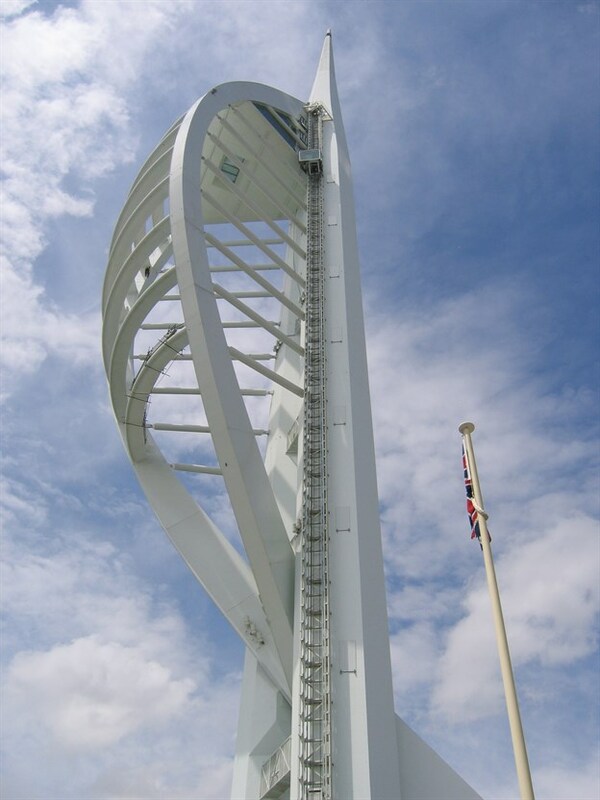 Spinnaker Tower was built as a public viewing tower over Portsmouth Harbour. 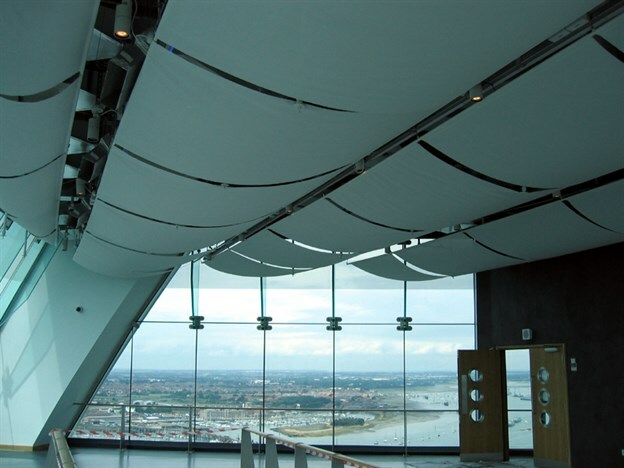 In the design of this tower the air-conditioning system in the ceiling above was open-plan. 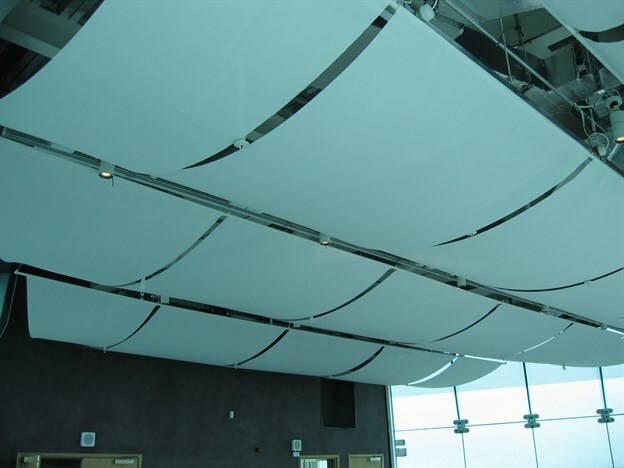 However, it was decided that this look was not appropriate and fabric ceilings were chosen instead (due to their relative low cost, ease of installation and removal) to disguise and cover the exposed air-conditioning system. 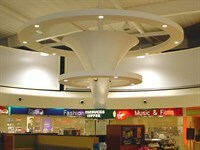 The fabric ceiling panels were designd as draped fabric. 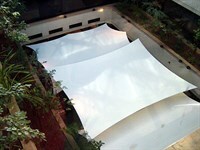 To achieve this shape, we used Natte fabric due to its stable form and class O fire rating. 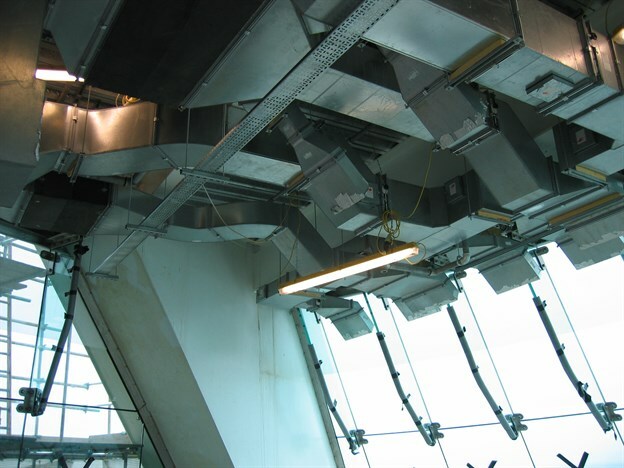 The ceiling is removable to allow for any maintenance work on the light fittings and air-conditioning above.